Discussion in 'Console Industry' started by Rangers, Apr 29, 2017. Isn't that like most other industries? Yes. The difference with tvs is a lot of the time they trickle out features I care about. That's technology for you! And it's that way in part so these companies can keep selling more hardware in faster upgrade cycles. If it were designed for the benefit of the planet, you'd have something akin to console generations, where TVs use a standard tech for 5+ years while the companies work on the next latest, greatest thing, and then the next display gen comes out with all the working, coordinated technologies. As it is now, they can sell a TV with better display, and then a new TV a couple years later that actually works with the handshaking standard you need with your devices, and then a new TV after that which updates the HDMI standard ready for the next big thing. TL;DR - you can't wait on tech. When there's a TV you like at a price you like, buy it instead of waiting for a better option. And then don't look at any new TVs for a few years so you don't get buyers' remorse! True but most people don't think of traditional consumer electronics as tech products per se, though obviously they're doing more with processing power and software all the time. In the case of OLED and other display tech like micro LED, they're refining production processes to improve performance or in the case of micro LED, trying to find a production process period. These traditional CE companies are good at materials processes but not so much at software and CPU processing. I'd be more inclined to accept that they can wring out good improvements every year if it was tech companies producing this gear though. I don’t wait till the next year for newer and better TVs. I wait till the next year for the better current gen TVs that can be had for much cheaper than initial list prices. Plus I usually tie my TV upgrades with my console upgrades. So I imagine if consoles drop in 2020, I’ll be ready to upgrade to whatever is the best high midrange 2020 TV available at a reasonable price in 2021. I'm searching for a TV right now because my Samsung have developed terrible backlight uniformity issues and is really embarrassing to watch. 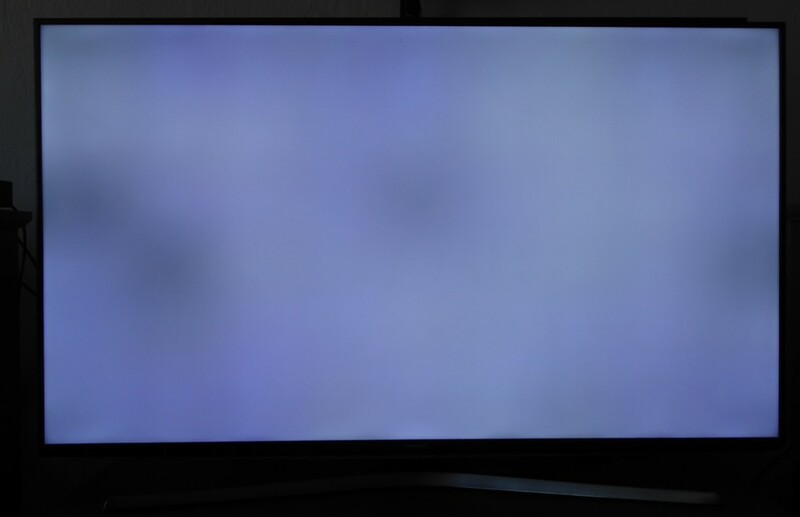 I need a flicker-free TV because I can't stand ghosting produced by low-frequency PWM (120Hz) which limit my options to OLEDs or Sony LCDs (I have no data on Panasonic unfortunately and I'm limited to EU models). I have two sources of 4k/60Hz/4:4:4 (PC and console) but Sony TVs have only two HDMI ports which can do 4k/60Hz/4:4:4 and one of those ports is also ARC which I want to use to control soundbar. OLEDs are surrounded by burn-in and image retention issues ... great options. I don't get get why the US and Europe products have to differ? In this specific case, they use a different OS. The US model uses Roku as it's OS, the EU model uses AndroidTV. This might be due to Roku not being as well supported outside the US. Well, for my part I'm waiting for 4k120, HDMI VRR & ALLM & eARC to all be supported in a TV that's available at 65". I would also like HDMI 2.1 but I needed TV now so I went with cheaper Sony because it does integer-ratio upscale for 1080p and have true flicker-free backlight ... and I'm satisfied so far, it looks like I won panel lottery with good panel uniformity and no dead pixels. LG has lowered their prices for 2018 line of OLEDs to clear out shelves. 2019 series [with HDMI 2.1] will soon take over. So that's what it is called. I'm having the same issue on my 55" LG 1080p(It's about 3 or 4 yrs old). I'm hoping to get 55" TCL Series 6 shortly. Wanted to go 65" but budget wouldn't allow it. At least I will be getting 4K, HDR & local dimming. So that's what it is called. I'm having the same issue on my 55" LG 1080p(It's about 3 or 4 yrs old). Every problem with LCD panel can be described as a problem with panel uniformity (except dead pixels of course), my problem was mainly with individual LEDs in the backlight going dim (it had direct backlight not edge). BTW, I got a question on the audio. The Vizio sound bar is currently connected to the TV via HDMI3 with ARC/CEC enabled. Everything seems to be working well, but wondered if I'd get anything better by connecting directly to the XB1X via optical? Or maybe connecting the XB1X to the sound bar via HDMI input & passing the HDMI video to the TV? BRiT, Dr Evil and DSoup like this. To get high resolution audio like DTS Master HD from movies to your soundbar, you must connect the One X directly to the soundbar. Your ARC version is only able to feed the soundbar with lower resolution audio. High res audio through ARC (eARC) will be available from HDMI 2.1. AzBat, London-boy and BRiT like this. You should always connect the audio system (bar or AVR) to the Xbox, and then connect the audio system to the TV. Yeah but eARC would in theory let you connect video directly to the TV, so that it doesn't go through the AVR at all. That would be a boon for sound bars and there are some sound bars touting Dolby Atmos production now. Even with eARC you wouldn’t get lossless audio formats (pretty sure?) so it is always advisable to connect the source directly to the audio system. I haven’t sat down and compared lossless vs lossy movie soundtracks. Maybe more a thing if a given movie features a lot of music? Otherwise, lossless for dialog and sound effects? Lossless soundtracks (dts-hd and Dolby TrueHD) are very much related to the movie realm. However it is also important to note that ARC can only handle a very limited bandwidth, and also there’s no reason (apart from placement) to do it any other way than above mentioned. If it’s a rubbish soundbar and you just can’t get it connected like it should because of strange room placement, then do as you wish. In any other case, why would you limit the quality of the sound for no reason? Just do as you’re told!! eARC can handle all common lossless audio formats. High res audio through ARC (eARC) will be available from HDMI 2.1. There are some Sony TVs with HDMI 2.0 that have eARC. I have a modest 5.1 system, thought they’re all B&W speakers. It’s not a big space and I don’t foresee adding upper channels for Atmos either. Actually at least 80% of the time, I’m watching TV which typically only comes with AC-3. And he world is moving towards streaming with most streaming services not even send8ng any kind of multichannel audio. So unless I really get into UHD Blu Rays, lossless audio is probably not in the cards. Best big screen tv from Best Buy right now? Best AGP video card with TV out that's $30 or less. What board has the best TV out.